Vietnam Veteran Matt Trotter, of Fort Dodge, will be going to the Vietnam memorial to take an etching of his brother’s name on the honor flight next week. Pat Trotter, seen on the pin on his shoulder, was killed in Vietnam as he served in the U.S. Army. Wednesday was his birthday. 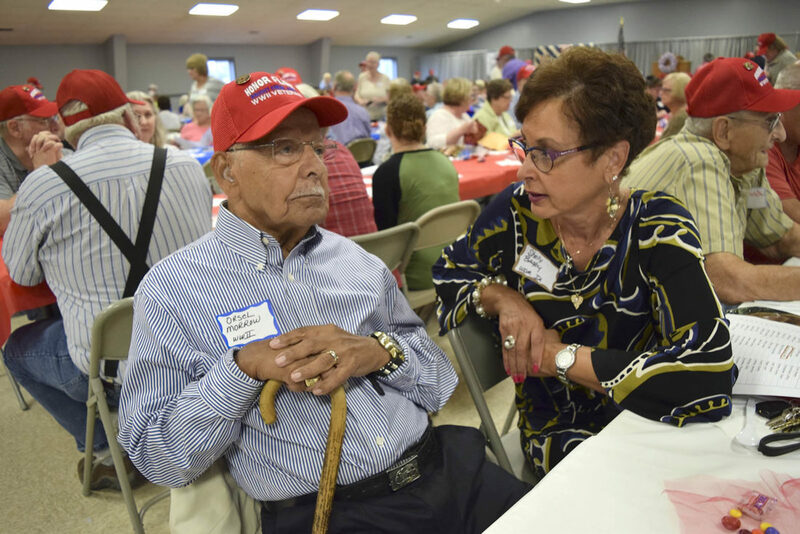 Orsel Morrow, World War II Army Veteran, of Des Moines, talks with his daughter Shelly Bagby at the honor flight banquet Wednesday night. Aubrey Heidner, 6th grade, from Algona Middle School, serves lemonade to Jake DeJong, of Dickinsen County, and Dave Kunkel, Titonka. The Algona students came down in busses to help serve those who had served in Korea, Vietnam and World War II. 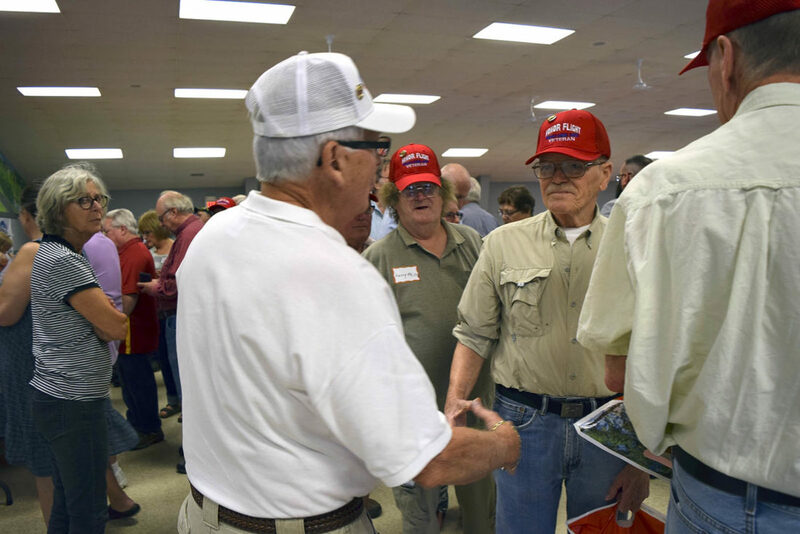 Ron Newsum greets Larry Phillip, of Truro (center), and Jum Judas, Rockwell City. About 145 veterans will be taking off on Sept. 15 for a day of seeing the memorials around Washington. Matt Trotter’s goal, when he lands in Washington, D.C., next week, is to bring back an etching of his brother’s name from the Vietnam Veterans Memorial. “I’m going to get my own personal etching,” Trotter said. Matt Trotter and two brothers, of Fort Dodge, all served in the armed forces. Matt Trotter traveled to Vietnam with the Marine Corps and his brother Pat with the Army. Wednesday would have been Pat’s birthday. 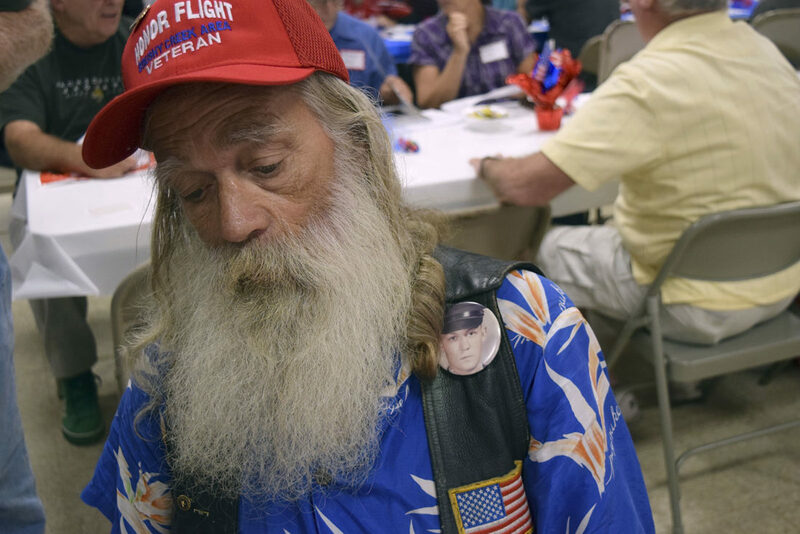 On Wednesday about 145 veterans of Vietnam, Korea and World War II gathered for a banquet ahead of the 17th Brushy Creek Area Honor Flight, which will be Sept. 15. Veterans will spend the day touring the memorials in the nation’s capital. It was Feb. 4, 1971, when Pat Trotter was killed, Matt Trotter said. He was on base when it was hit by a mortar. Matt himself was in Vietnam for “a very short time,” he said. “They were pulling troops out when I got there,” he said. “I was stationed all over the South Pacific. Pat Trotter was 3 years older than Matt. He was a door gunner — manning the large machine gun on the side of a helicopter. Matt Trotter has seen the image of his brother’s name in the wall before. “The picture in the doctor’s office has my brother’s name on it,” he said. “Among all the other names. For Trotter and many other veterans, this will be their first trip to Washington. For Larry Phillip, of Truro, it will be the first time he’s been there since 1961. A lot has changed in that time, especially how close tourists are allowed to get to the White House. Four of these “farm kids” were at the top of the Washington Monument and took the stairs all the way down, Phillip said. At the bottom, they couldn’t find the tour bus so they took a taxi to their next destination, the White House. One of the boys was from Des Moines, and was a little more used to city sights. Orsel Morrow, of Des Moines, is one of only four World War II veterans flying this year. He served in the U.S. Army in Hawaii from around 1943 to 1946. One thing that sticks in his mind from that time was being part of the team that moved bodies of soldiers that had died. “We were hauling dead people,” Morrow said. “We had to get them down off the mountain, get them into the bag. Asked what else he had done, Morrow said he was a supply sergeant. “If we needed equipment, they came to me,” he said. 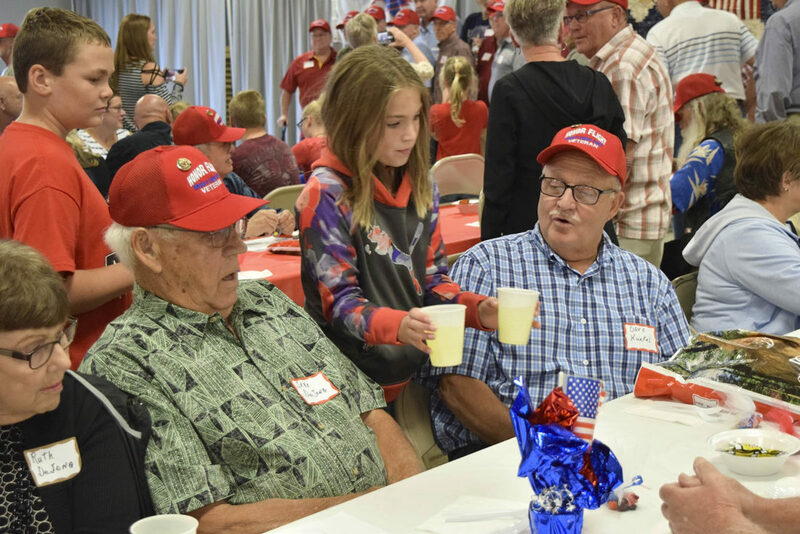 The banquet is held before every Honor Flight to give veterans a chance to learn the itinerary, get their red shirts and hats, and receive recognition from the volunteers. Students from Algona Middle School helped in serving the meal, which was catered by Howard Ball’s Feedshed Catering, of Moorland. Mark Grey, of Denison, presented a check of $4,170 to the Brushy Creek Area Honor Flight on behalf of veterans in Crawford County. It takes about $100,000 to bring one flight together, said Ron Newsum, flight organizer. 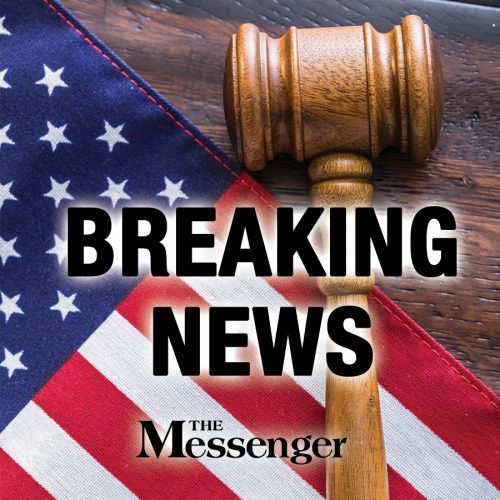 “We rely on the donations of a lot of different organizations,” Newsum said. “Each dollar donated to the Brushy Creek Honor Flight stays with the Brushy Creek Honor Flight. We don’t have a national organization we pay dues to.